Editor: The scam against property owners, threatened by a wind turbine near their home continues from all sides of the political spectrum including groups supposedly fighting wind farms. Wind farms are part of a bigger plan known to most as Sustainable Development or UN Agenda 21. The idea that somehow voting for Conservatives in the Oct 6th election will change things is foolish if not downright deceptive. All political parties are pushing Sustainable Development/UN Agenda 21 which includes the installation of wind farms, originally brought to us by the Conservative Party. So, if you think wind farms will stop because of the Liberal minority, you haven’t been paying attention. 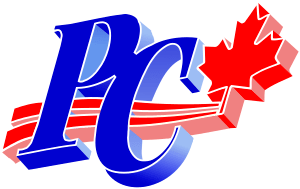 Listen closely to PC candidate office admitting all parties are pushing UN Agenda 21, by clicking link below. Then ask yourself “What’s really going on” Those who say they are fighting against wind farms on your behalf never mention the real driver behind the program? Why is that do you suppose? The Liberals dogged loyalty to Premier Dalton McGuinty’s green energy policies cost the party their majority in last week’s election, according to some high-profile local opponents to industrial wind turbines. “When you look at the province it’s a huge blue (Progressive Conservative) area with a couple of big cities that have enough Liberals to get elected. It’s pretty obvious those people aren’t affected and didn’t take interest in the industrial wind turbine problems. Yet if you look at the country ridings, you start knocking off the minister of agriculture, the minister of the environment, it’s pretty obvious there’s a problem. I hope the government has a look at that,” Mark Davis, the deputy-mayor of Arran-Elderslie and the leading opponent to wind farms on his municipality council, said in a weekend interview. Gillis and Davis aren’t alone in their assessment of the impact of Liberal energy policies on the outcome of the election. As guest host of “A View from inside Canada” I had the privilege of having Mr. Kay as a guest. His research is a must read for all Canadians. His latest article is a who’s who of Environmentalism in Alberta. While his article focuses on Alberta, understand this Environmental web exists in every Province and Municipality in Canada. For those fighting wind farms, be sure to pay attention to connections between govt., and Pembina Institute. Robert Hornung, president of CanWEA, headed Pembina Institute for years. The wind industry, govt. and funding agencies are all intertwined. Therefore. if you live in Ont. and you want change, become a candidate for your local council this Oct. To date I have convinced several people to run, but Rural Ont. needs your commitment as well, if we hope to exact any positive change. Have any questions please feel free to contact me. At the beginning of this video you will see logos of the founders of the Green Energy Act. While I have tried to educate people on the realities facing rural Ont. WCO (Wind Concerns Ontario) and several other groups have done the opposite. The only subject they wish to discuss is health issues- not the driving forces behind these projects. WHY? Are they stupid, not being honest, or controlled opposition – come to your own conclusions. These wind groups keep asking councils to enact moratorium on wind development. Both they and council know they have no power to do so, since the GEA was enacted. Not one council or rural MPP stood up and fought the GEA before it was enacted – so why do these wind groups think they will stand up now. The councils give the impression they want a moratorium, but one must question their past actions. Besides, a great number of council members are members of the OFA. Think long and think hard! The OFA and rural councils have handed rural Ont. over to the Eco-Nazis. I have a very workable solution, but the wind groups don’t want to go there. If you are going to be impacted by a wind farm in Ont. you better start asking those you think are working for you some hard questions. If you plan to live in rural Ontario you better get involved and soon. They’re coming for your water next! OFA and ECO-NAZIS – working hand in hand! Do you still believe in freedom? Sheeple (a portmanteau of “sheep” and “people”) is a term of disparagement, in which people are likened to sheep. It is often used to denote persons who voluntarily acquiesce to a perceived authority or suggestion without sufficient research to understand fully the ramifications involved in that decision, and thus undermine their own human individuality or in other cases give up certain rights. The implication of sheeple is that as a collective, people believe or do whatever they are told, especially if told so by a perceived authority figure believed to be trustworthy, without critically thinking about it or doing adequate research to be sure that it is an accurate representation of the real world around them. The term is generally used in a political and sometimes in a spiritual sense.